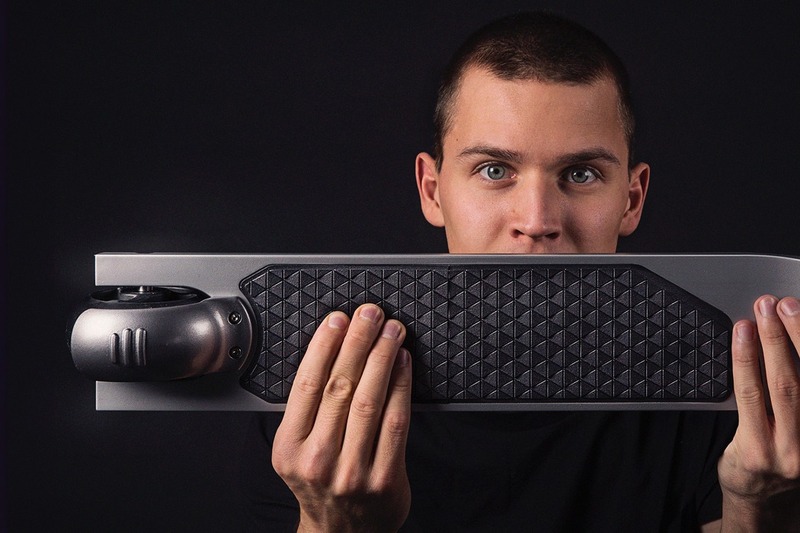 Swiss and Lithuanian startup Citybirds has been making human-powered kickscooters for a few years now, but has revealed what it’s calling the “thinnest and lightest electric scooter” at the ISPO trade expo in Munich, Germany. Named the Eagle, the e-scooter will roll for up to 30 km and get up to 25 km/h, and a display on the handlebars will be able to sync with a smartphone to show navigation, weather and notifications. At this point, not a great deal is known about the Eagle. 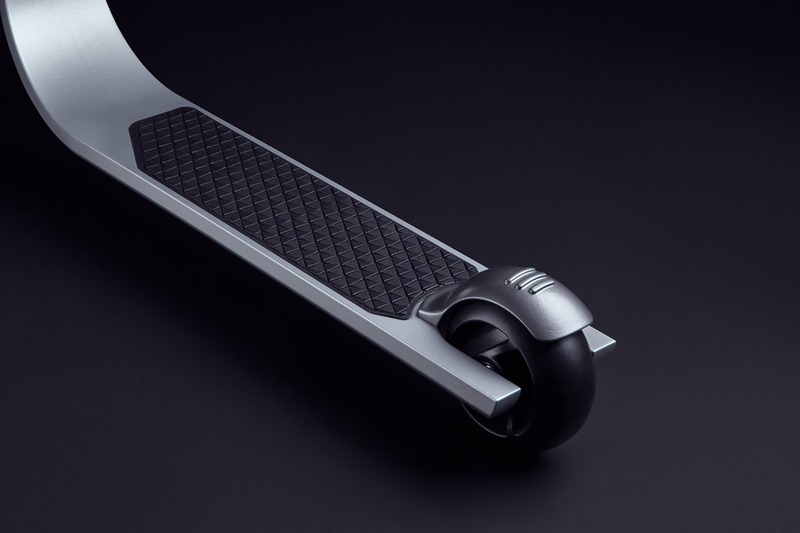 And though the company is claiming its stylish electric kickscooter is the world’s thinnest and lightest, no actual weight or dimensions figures have been revealed. 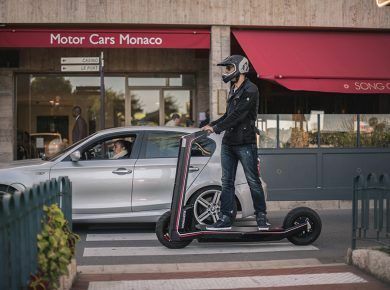 We do know that it will have a range per charge of 15 km (9.3 miles) from the battery integrated into the deck, or twice that with the addition of an extra battery installed in the handlebar column – which the startup says is twice as long as many competitors. As well as offering a top-up using a plug-in charger, the Eagle can also be juiced up via an induction charging plate. Citybirds suggests that a wireless charging unit could be placed in the trunk of a car on the way to a parking spot outside the city, and then the topped-up Eagle removed from the vehicle and trundled to the office. And the front wheel’s 36 V electric hub motor should get riders up to a top speed of 25 km/h (15.5 mph). The current prototype displayed at ISPO has been made from plastic, but the production model will be fashioned from carbon fiber. 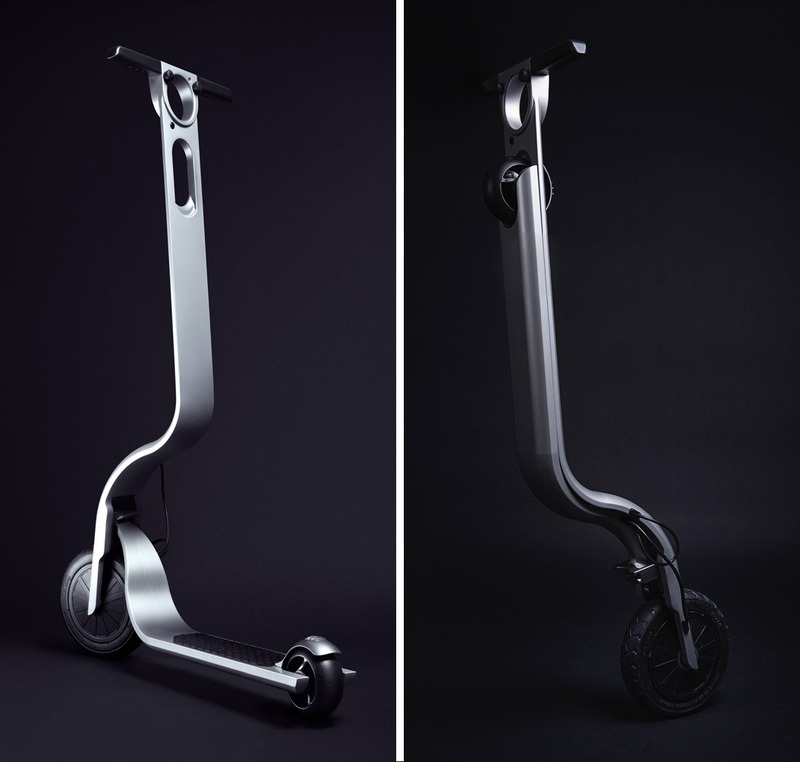 Like other Citybirds kickscooters, the deck of the Eagle folds up into the handlebar column – with the rear wheel popping into a space in the center. The Eagle’s curved design at the front wheel could also make between ride carrying a tad more comfortable thanks to its contoured shape fitting nicely on the shoulder. A display screen at the handlebar shows performance info, and turn-by-turn directions, but can also act as a second smartphone screen over Bluetooth, showing such things as the weather perhaps, or social media notifications, or even just a clock face. The Eagle launched at ISPO Munich earlier this week, though is still very much in the development stage – and the company told us that it will likely be at least another year before the Eagle finally lands. Meanwhile be sure to check 10 Smallest Folding Electric Mini Bikes for Sale.